Australia hoping for a third Asia-Pacific Amateur Championship title. Not only does the team from Down Under have the lowest ranked player in the field – Min Woo Lee at No. 10 in the World Amateur Golf Ranking (WAGR) – they also have the depth as all their six players are ranked inside the top 55 in the world. David Micheluzzi is No. 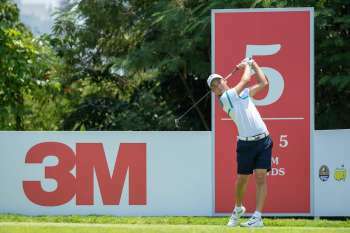 13 and the third lowest ranked player in the field – after Lee and Thailand’s No. 11 Sadom Kaewkanjana – followed by No. 30 Zach Murray, No. 31 Dylan Perry, No. 37 Shae Wools-Cobb and No. 55 Blake Windred. Speaking to the media ahead of the championship that starts this Thursday, 7 October, the players identified two main reasons for the health of golf in their country – the role played by Golf Australia, and the healthy competition they have between themselves. Lee, who made it to the second stage of the Web.com Tour Qualifying last week while playing alongside Dallas Cowboys great Tony Romo in Garland, Texas, said: “I think our Golf Australia program is awesome…probably one of the best in the world. “We get the opportunity to play professional tournaments and travel around the world and get experience. I think that’s one reason why we are ranked really well. In the previous nine editions of the championship, Australia has had two champions – Antonio Murdaca at The Royal Melbourne Golf Club in 2014, and Curtis Luck at Jack Nicklaus Golf Club Korea in 2016. China has the most titles – three (2012, 2015 and 2017). The team members are excited at the prospect of adding a third title this year, but Perry was quick to point out that consistency over four days mattered much more than rankings in a championship like the AAC. “Obviously, we’re all ranked in the top 100 this week. But it’s a hard one, really. At the end of the day, it’s who is the best player at the end of the week. Rankings don’t really mean anything, I guess. It’s all about who plays well for the four days,” he added. If one of the Australian boys do go on to win the championship, he will have the opportunity to follow in the footsteps of Adam Scott and try to become the next Masters champion. The AAC winner earns an invitation to the Masters Tournament at Augusta National Golf Club and a place in The 148th Open at Royal Portrush in 2019, provided he retains his amateur status. The runner(s)-up will gain a spot in The Open Qualifying Series. With such a big reward on the line, it is difficult not to think about it over the course of the championship. “To even play in a major, it’s pretty massive. It’s just awesome that we have a chance this week…can’t really explain it,” said Micheluzzi. The AAC is supported by six Proud Partners – 3M, AT&T, Delta, Mercedes-Benz, Samsung and UPS – and two Scoring Partners, Rolex and IBM. 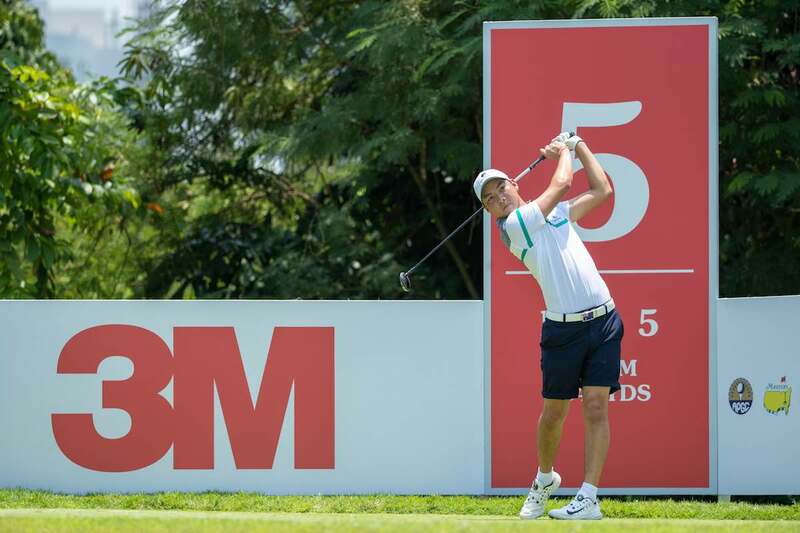 The 72-hole stroke play event on Sentosa’s New Tanjong course promises to be a real festival of golf in a special year for the championship, which has been a springboard for players such as two-time champion Hideki Matsuyama of Japan (2010 and 2011), China’s Guan Tianlang (2012 winner who went on to become the youngest ever to make the cut at the Masters) and Curtis Luck (2016).